Electrical equipment that is being sold in the UK and Europe is required to be CE Marked under the Low Voltage Directive (typically shortened to ‘LVD’). The Directive applies to electrical equipment that operates between 50 to 1000 volts for alternating current or 75 to 1500 volts for direct current and applies to new equipment that is being placed on the market for the first time. Electrical equipment for own use must meet the safety requirements of the Directive, but does not need to be CE marked unless at a later date the equipment is placed on the market (i.e. equipment is being sold or hired). CE Marking Electrical equipment for the European market has been mandatory since 1997, and the current Directive (2014/35/EU) came into force on the 20th April 2016, which replaced the superseded Directive 2006/95/EC. The LVD sets out safety objectives for equipment within the specified voltage ranges to meet. The Directive also sets out equipment and phenomena that is excluded from the Directive. Equipment that intentionally communications over radio waves and is covered by the Radio Equipment Directive (replacing the R&TTE Directive). This Directive drops the low end of the voltage for 0 volts (for both AC and DC ranges). Specific electrical machines, that operates within the voltage ranges of the LVD, maybe excluded by the Machinery Directive if they are covered by one of six categories (domestic household, IT, audio and video, ordinary office machinery, low voltage switch/control gear and electric motors). Such equipment must be CE marked under the LVD. The Low Voltage Directive was replaced on the 20th April 2016, by 2014/35/EU, so therefore from this date any new Declarations should quote the new Directive number. Most will find the Safety Objectives (set out in Annex I of the Directive) to be too awkward and too open to interpretation to enable them to assess their products directly against the requirements. However there is a very good list of harmonised standards available, such as EN 60335-1 for household and similar appliances or EN 60950-1 for information technical equipment, to provide better solution for meeting the Safety Objectives of the Directive. 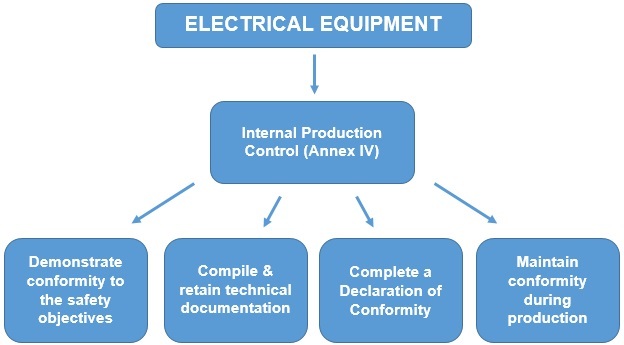 Once a manufacturer has completed these tasks and found that the electrical equipment fulfils all of these requirements, then it can be deemed to be CE marked and is now ready to be placed on the market. – Do electrical products need a risk assessment? 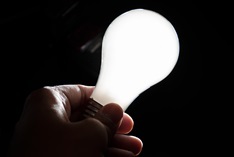 – New Low Voltage Directive (2014/35/EU) – What are the changes? For more support on CE Marking under the Low Voltage Directive, or to find out how we can help you, please call us on 01564 792349, or please complete our online enquiry form.